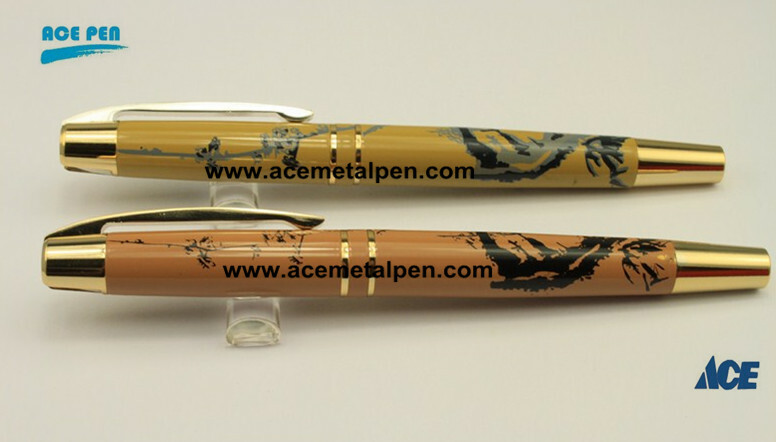 High end Wood finish Rollerball pen combines elements of traditional Chinese painting. This unique pen showing A Unique Feature. It was what said to be "paintings of poetry and poetry in paintings", reaching the highest artistic boundary and forming the clear national quality. Available in Chrome and gold plating for the components. Custom LOGO engraving or screening are available.